Amelia is an Executive Vice President at Cassidy and Associates where clients rely on her in depth experience on Capitol Hill working on every facet of natural resource policy from western water issues to tribal matters to forest management. Amelia joined Cassidy in 2015 after serving as Deputy Staff Director and Senior Policy Advisor to the U.S. House Committee on Natural Resources since 2011. Amelia served as chief policy advisor and strategist to then U.S. Rep. and now U.S. Sen. Ed Markey (D-MA), U.S. Rep. Peter DeFazio (D-OR) and its current Ranking Member U.S. Rep. Raúl Grijalva (D-AZ) on legislative matters involving the management of 600 million acres of federal land, domestic energy production, tribal matters, territories and insular areas, wildlife, and western water. She was also the primary policy contact with House leadership, White House Legislative Affairs, Council on Environmental Quality, in addition to Departments under the committee’s jurisdiction. 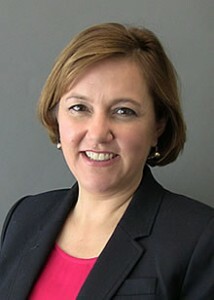 Prior to the committee, Amelia was Principal Deputy Assistant Secretary in Congressional and Intergovernmental Affairs at the Department of Energy where she served as the top assistant to the Assistant Secretary and directly managed and oversaw the Department’s interaction with Members of the House of Representatives and all local, state, and tribal governments. Her tenure in Washington has also included serving as Senior Advisor and Subcommittee Staff Director to the House Committee on Natural Resources Subcommittee on Water and Power; Director of Coalition Development for the Western Governors’ Association; Senior Legislative Staff for the House Committee on Resources; Legislative Director for U.S. Rep. George Miller (D-CA); and Legislative Aide to Congressman DeFazio. Amelia earned a master’s degree in Environmental Science and Forest Economics from the University of Idaho and a bachelor’s degree in Business and Economics from Weber State University.